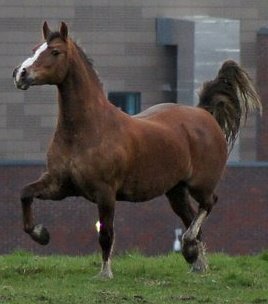 Troy is on lease from Ceri Fell, Brynseion Stud.Troy possesses such fantastic bone and we are eager to cover our girls with him next year. 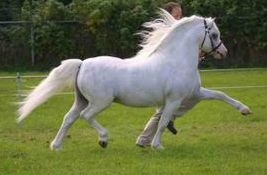 We are very pleased Ceri was kind enough to allow Troy to come to us as he is by our favorite stallion Llwynan Llewelyn. Odyssey has now returned home to Holland. We are very pleased with the foals Odyssey has left us, 2 colts and 1 filly. We have 4 different mares in foal for 2015 to him. Odyssey is a super stamp of Mountain pony. He posesses such quality bone wonderful conformation and a stunning head and eye.... AND MOVES FOR FUN!!! 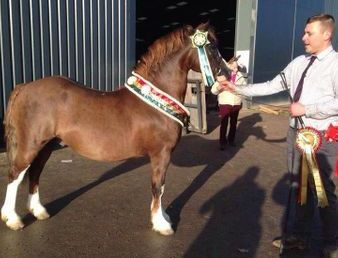 Roberto is kindly with us on lease from Ceri Fell, Brynseion Stud. We will cover the majority of our section C mares in 2014 with Roberto. We are confident he will be a good cross with out mares. Roberto in our opinion possesses all characteristics a true section C should carry. 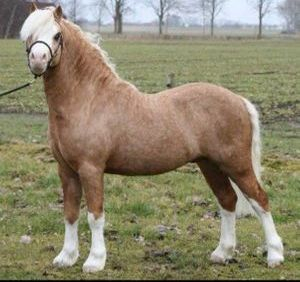 He has bone feather and substance along with a stunning head and beautiful eye, and of course fantastic conformation. Roberto has already proved him self in hand, under saddle and as a sire of winners, including a royal welsh winner!! 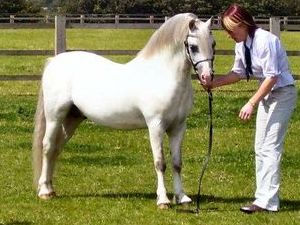 Paris has been owned by Ashley since he was a foal. 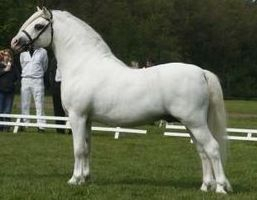 He is a bronze medal winner and has sired numerous bronze and silver medal winners. Paris is currently on lease to the Coedyllan Stud.